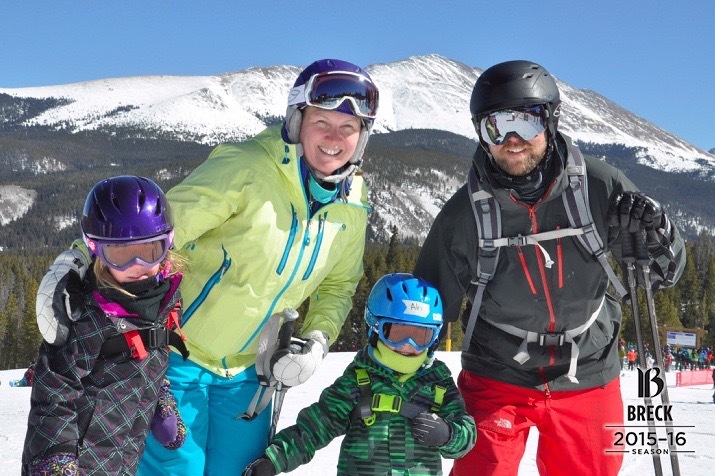 Obviously the big reason for us moving to Breckenridge was to take advantage of the mountains – specifically skiing. It has been a dream of mine to be a ski bum (even if for one season) since I was a teenager. There is a ski filmmaker named Warren Miller who has a famous saying… “If you don’t do it this year, you will be one year older when you do.” That quote has been in my mind for nearly 20 years. Well, we finally did it. Kelly and I set “ski day goals” for ourselves – 50 days and 100 days respectively. So far we are on track to meet those goals in the remaining weeks of the ski season. I’m at 73 and Kelly is at 36 days. What has been just as exciting is getting Zoe and Alex out with us as much as we can. Both kids have over 20 days of skiing in already and are cruising down the “blue” intermediate runs with us now. I never thought I’d have that much fun on the groomers again! It has been a great season in terms of snow for Colorado resorts. Not that many powder days yet, but March is traditionally the snowiest month of the year. We are keeping our fingers crossed. Also, we have come to realize that skiing in the resorts and on groomed runs is not enough for the “true locals”. Almost all of them are taking it to another level – they are telemark skiers, backcountry skiers, snowshoers, cross-country skiers, etc. So, wanting to be a true local I have started doing backcountry skiing. This is when you hike up the mountain before skiing back down. It is an incredible feeling and an incredible workout too! Coming from the mid-western states of Iowa and Wisconsin, we are more known for our pork and beer intake than anything else. So, I guess we will just have to keep pushing our limits and keep our mountain adventures going to become true locals.